AAW tweeted an update on Fenix and noted that he's been released from the hospital: "UPDATE on @ReyFenixMx - He has been treated and released from the hospital with a muscle contusion. He is feeling good and will be back up to 100% after some rest. We thank you all for your concern and for making #LUCHACITY such wonderful time!" Fenix was taken to the hospital after suffering a stinger at last night's AAW Lucha City Limits show in Austin, Texas. 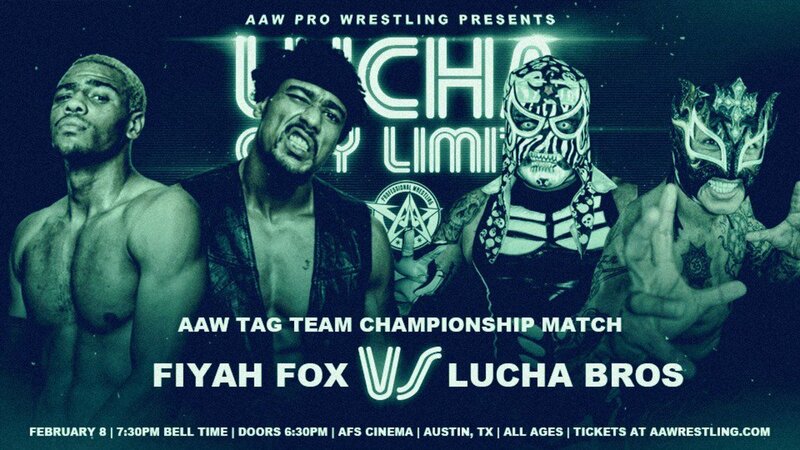 Fenix & Pentagon Jr. defeated AR Fox & Myron Reed to win the AAW Tag Team titles in the main event of the show, but the finish was abrupt after Fenix was injured during a spot where he hit a diving cutter. Fenix stayed down after the spot and was helped to the back following the match. AAW tweeted that Fenix was taken to a local hospital as a precaution after the injury, and AAW's Danny Daniels followed up by writing that Fenix is "ok but just needs to take it easy for a bit." Due to the injury, Fenix will miss his remaining dates this weekend. He hopes to be back for Impact Wrestling's television tapings in Las Vegas, Nevada next weekend. Fenix & Pentagon appeared at All Elite Wrestling's ticket announcement party on Thursday night and took part in an angle where they laid out The Young Bucks, seemingly setting up a match between the teams for AEW Double or Nothing on May 25.